It’s time to bring a bigger vision to the revitalization of 24 Sussex. Xiqu Centre opens in Hong Kong; Vancouver Art Gallery announces $40-million donation; Quadrangle joins UK-based BDP. Aaron Pollock and Laurène Bachand report on an ideas com­ petition to reimagine a waterfront site in Winnipeg. Conferences, lectures, and exhibitions across Canada and beyond. Jill Stoner reflects on the National Holocaust Memorial in Ottawa, designed by Daniel Libeskind. West Block Rehabilitation Project, by Architecture49 and EVOQ Architecture, architects in joint venture. Photo by Tom Arban. 24 Sussex was built between 1868 and 1888 by lumber baron Joseph Merrill Currier. 3R Tilesâ&#x20AC;&#x2122; metal tiles open up new worlds of siding and external cladding to architects, allowing them to create effects that could only be imagined before. Long-lasting tiles with geometric shapes permitting arrangements of varying models in an array of colour shades, dimensions and laying directions. Meets AAMA/ASTM standards: Dynamic and Static Water Penetration (AAMA 501.1 / ASTM E331), Air Leakage Rate (ASTM E283), Structural Performance (ASTM E330), Thermal Cycling (AAMA 501-15). Systems offerEAuniversal application and detailed design options for all EA Façade lines. 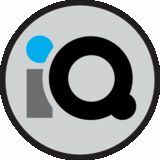 • collaborates EA on design; providing training, webinars, value-engineering, lunch and learns, mockups, samples, BIM software, panel optimization, etc. • provides EAextensively-detailed, stamped shop drawings and thermallybroken façade solutions. Engineered Assemblies understands and promotes the philosophy of partnership. We maintain a cooperative presence and focus on achieving the desired goal; completing a project on time and on budget to the highest of industry standards. façade lines; enabling design freedom and ease of installation. PARTNERS: freedom and ease installation. compromising theof OUR designer’s intent. Our systems offer universal applications PARTNERS: acrossOUR all EA façade lines; enabling design freedom and ease of installation. We take a common-sense approach to systems development; offering functional assemblies that are cost effective without compromising the designer’s intent. Our systems offer universal applications across all EA façade lines; enabling design freedom and ease of installation. The Vancouver Art Gallery is celebrating a major milestone toward the realization of a transformational new building with the announcement of a $40-million lead gift from the Chan Family. The gift brings the Gallery’s capital campaign to $85 million in private sector funding toward the new purposebuilt facility. In recognition of this gift, the Vancouver Art Gallery’s new building will be named the Chan Centre for the Visual Arts. The Vancouver Art Gallery has also unveiled the final designs for its 27,870 m 2 building by Swiss-based architectural firm Herzog & de Meuron in collaboration with executive architect Perkins+Will Vancouver. Designed to serve the Gallery’s growing collection and to present art and educational programs for its expanding audiences, the new Vancouver Art Gallery will provide a global platform for Canada’s arts scene. The Xiqu Centre for opera has opened in Hong Kong’s new West Kowloon Cultural District. The landmark buidling was designed by Revery Architecture with Ronald Lu & Partners. By lifting the bulk of the structure high above the street, the design allows light and air to filter down to an active, open-air courtyard below. “The project for the new Vancouver Art Gallery has a civic dimension that can contribute to the life and identity of the city, in which many artists of international reputation live and work,” says Christine Binswanger, Partner in Charge, Herzog & de Meuron. “The building now combines two materials—wood and glass—both inseparable from the history and making of the city. ABOVE Montreal’s Grey Nuns are working with PARA-SOL architecture et développement to redevelop the Youville Mother House near downtown Montreal. THE THERMOSTAT WARS ARE OVER. Comfort for all. Helios is a breakthrough in comfort and energy savings. With optional wireless thermostat & postmaster, multiple spaces no longer need to be lumped together in the same zone. Instead, each diffuser can be controlled separately. Powered by ambient light, Helios needs no building power or additional ductwork to create the desired comfortable space. When it comes to VAV diffusers, it’s time to see the light. "Hire an FCSI Foodservice consultant to assist in your planning process we will make a difference"
value beyond what the deluge of bits can be bought and sold for. We live in a world in dire need of civil discourse—which powerful political players do their utmost to disrupt. The civic rules that govern places like Sidewalk Toronto, what is said and transmitted there, must guarantee not just the privacy of data and discourse, but also its publicity—its public nature, its right to a place in the city. On January 17, the official launch of the Nova Scotia chapter of Building Equality in Architecture Atlantic (BEA Atlantic) was celebrated in Halifax. The chapter aims to connect the Atlantic provinces through public outreach events, lectures, and workshops—initiatives that will develop strategies and practices of equality in architecture across the Maritimes. In 2019, BEA Atlantic will launch new chapters in PEI and Newfoundland to strengthen local programming. In our article on the Bentway (CA, February 2019), it was stated that the project was designed by PUBLIC WORK in collaboration with Gensler. To clarify, The Bentway was designed by PUBLIC WORK , who was the lead designer and prime consultant for the overall project. PUBLIC WORK worked in collaboration with Gensler, who was the architect of record for the building underneath the Strachan Gate Bleacher. Congratulations The Alberta Association of Architects would like to recognize our newest architects and licensed interior designers. Moving from internship to registered architect or licensed interior designer is a milestone that takes many years and countless hours to achieve. Congratulations on your hard work and perseverance! The interim House of Commons is housed in a courtyard framed by successive additions to the West Block. Left A gathering area rings the courtyard, with wooden acoustic screens used as partitions. Opposite left Stone carvings were restored throughout the building, including in the entry lobby to the Mackenzie Tower, the most ornate portion of the heritage complex. Opposite right The restoration work also included revitalizing the buildingâ&#x20AC;&#x2122;s grand stairways, plasterwork, stained glass windows and floor tiles. within it—analogous to a clearing in the woods, according to the designers. From the main level, it’s been made to accommodate the ceremonies of the existing House and reuse its furniture. There are a few minor upgrades and changes: the Members of Parliament in the rear rows get their own desks instead of having to share benches, and the Speaker’s Chair is an antique from the era when each Speaker had a bespoke chair. (It was originally made for the Honourable Edgar Nelson Rhodes, Speaker from 1917 to 1922.) The most dramatic view of the renovated courtyard is from the gallery level above, where the press and public convene to watch debates. Here, the full extent of the glass roof can be appreciated, along with the stone walls and copper roofs that ring the large space. These heritage façades have been meticulously restored to a shine that they had not seen for many decades. Previous to the renewal, the courtyard was used primarily as a service space and to house a 1960s cafeteria block, and its framing façades were badly neglected. Particular care was taken with the east wall, which was part of the original 1865 construction and designed to address an expansive lawn. Overall, nearly half of the West Block’s exterior masonry was dismantled and rebuilt, and 14% of it was replaced—at the peak of the masonry rehabilitation, over 200 masons were working on the site. Laser cleaning tools were used to bring the stone’s original colours to life, and the grey mortar that had been used for repairs replaced with a black mortar similar in colour to the original soot-based formulation. The mortar lines make the individual blocks visually pop, showing off the zigzag lines of the sandstone trim around windows and the “crazy-quilt” of the spandrel panels—a pattern used to indicate their non-load-bearing nature. ABOVE Technology is seamlessly integrated in a committee room, including broadcast equipment, projection screens, and simultaneous translation services. Opposite A diagram shows the sequence of moves and renovation projects needed to vacate Centre Block for revitalization. building. Technology and accessibility have been integrated into all spaces, helping the building function as a twenty-first-century workplace. Another aspect of the restoration was a reconsideration of the entrance sequence. Instead of coming through the main doors facing Wellington Street or through the Mackenzie Tower, visitors now enter from the underground Visitor Centre. The north wing of the building was reconfigured as a large lobby space, with entrances to committee rooms and a lantern-like stair leading to the Chamber and its galleries. The stacked lobbies allow visitors to orient themselves: windows on one side look out to the Centre Block, while across the room, one can see the courtyard. “A big piece of the design was creating a ceremonial, processional way of getting into the building,” says Moss. In the 1960s, the Wellington Street entrance was lowered from the second level to grade; the current renovation restores the elevated “piano nobile” as the main floor of the building. Much changes over the course of a 24-year-long project. “We fulfilled our initial mandate from way, way back—we rehabilitated West Block according to the new standards,” says Bridger. But in the process, he adds, “the National Building Code evolved, security requirements evolved, Parliamentarians’ needs evolved, technology evolved, accessibility—all of these things evolved as we were designing the project. We were able to respond to each of those new requirements, and still maintain an overall project vision that was rooted in the rehabilitation of an icon.” Eventually, the House of Commons will return to Centre Block. There is as yet no clear picture of what the courtyard will then be used for—a secondary Chamber, a formal reception area, committee rooms, or infilled offices are some of the possibilities. The rehabilitation has been designed to accommodate such changes, with components such as its acoustic panels made to be easily removeable, and designed with less preciousness than permanent elements such as the glass roof. When the space has evolved into its next iteration, Parliamentarians will return to a legacy Chamber that will be renewed, in part, by the same architects. 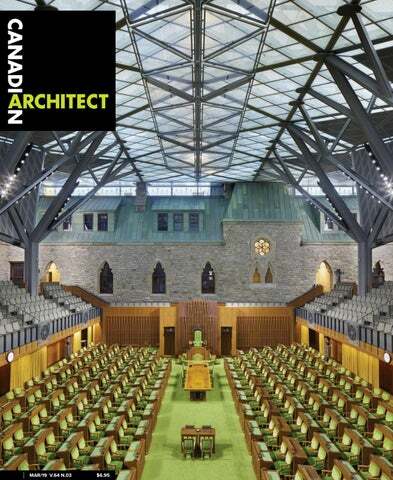 Architecture49 won a bid to restore Centre Block, working with WSP and HOK. It will be the largest and most complex heritage rehabilitation project ever seen in Canada—a challenge for heritage architects and craftsmen that will rival the impressive work already completed at West Block. carving wood panels: the pitch of the cutting head was varied to mimic movement and depth, creating the illusion that the flags are fluttering. A significant legacy of the project is that these are Canadian innovations. “This idea of carving something or creating a sculpture, scanning it, and reproducing it using digital technologies is a Canadian technology,” White says. “It was developed here and exported worldwide.” It is expected that the Senate will return to Centre Block sometime around 2030. Thus, careful thought has also been given to the future of the building once vacated by the Senate. This includes striving for sustainable energy and material use—ninety-five-percent of material waste was saved from landfill and the building is on target to receive three Green Globes—and the introduction of universal design strategies. “The contemporary interventions, primarily informed by heritage concerns, are generally reversible,” says Davidson. “But the bones of it all—the structural, mechanical and electrical systems, integrated virtually invisibly into the building—are all designed for a long run into the future.” Thus, while the future use of the building is not yet known, what is certain is that it will have a future. That is due in equal part to those who fought to save the building from demolition back in 1967, and to the critical restorative work completed in 2018. Fifty-one years apart, they are both important intersections in the life of this Ottawa landmark. Ottawa-based Kristen Gagnon is the architecture editor of Spacing. HAMBRO THE COMPOSITE FLOOR SYSTEM FOR YOUR MULTI-RESIDENTIAL PROJECTS Hambro D500 and MD2000 are high performance solutions ideal for multi-residential buildings. Fully adaptable to your design and load specifications, these fire-resistant composite systems designed by Canam deliver outstanding soundproofing performance and boast a space-freeing span capacity of up to 43 feet. Hambro is optimized to facilitate mechanical system installation and reduce construction time and costs. When I was growing up in Ottawa in the 1980s, you could walk straight through the grand neo-gothic front doors of Parliament Hill. Without too much fuss, you could stroll over to the public galleries of the House of Commons and Senate. Or you could head to the parliamentary library and admire the elegant wood-ribbed structure that had been protected from the great 1916 fire by its cast bronze doors. When the Hill was bedecked by Christmas lights in the winter, my parents would load up the A car and we’d join other families who drove the loop in front of the East, Centre, and West Blocks, admiring the decorations. Then, in 1997, a delusional man drove his jeep up the staircase in front of Centre Block, stopping just short of the main doors. After 9/11, private vehicle access to the hill was further restricted. In 2014, a lone gunman shot a sentry at the National War Memorial, then entered Centre Block and was killed in an exchange of gunfire with security personnel. Public access to the chambers of democracy has been maintained through it all, but with an increasing gamut of check-in points and security scanning measures, a cumbersome presence in those revered stone corridors. Now, the first phase of a fully accessible Visitor Welcome Centre greets visitors to Parliament Hill. It achieves the delicate feat of including updated, airport-like screening facilities, while preserving dignified, open public access to the seat of Canada’s parliamentary democracy. This is the first building to be constructed on Parliament Hill in almost a century, and the responsibility to the historic site weighed heavily on designers IBI Group and Moriyama & Teshima Architects. In response, to a remarkable degree, they’ve made the four-story building disappear. Three of the stories are sunk underground, with only the entrance making an appearance at grade. Even this entrance is integrated into the site. A stone retaining wall designed by Calvert Vaux subtly elevates Centre Block above the Great Lawn; that wall has now been extended to cap a new courtyard next to West Block. Arched entryways form porticos in the stonework, with recessed doors crafted in a weave-patterned bronze. Inside, visitors enter a cross-vaulted entry area that overlooks the concourse, a level below. After passing through the scanning area, they descend to the concourse—a double-height space that includes interpretive projections, a boutique, and a gathering point for guided tours. A barrelvaulted passageway leads to the renovated West Block. Additional phases will eventually expand the facility to connect with East Block and with Centre Block, currently under renovation. The building’s main spaces are topped with a shallow cross-vaulted ceiling, rendered in acoustic plaster. The ceiling design—a contemporary version of a shallow groin vault— gives a traditional inflection to the minimalist building. Early on the commission, recalls Moriyama & Teshima principal Carol Phillips, FRAIC, the architects decided to make a full inventory of the processional spaces and façades throughout Parliament Hill. What emerged was an appreciation of the Hill’s vaulted hallways and hierarchy of arched window openings—from pointier ones higher on wallsCONCOURSE LEVEL FLOOR PLAN to squatter ones lower down. They also developed a detailed understanding of how these arches were geometrically generated. top To soften the appearance of the robust structure, a pleated language was used for elements including the columns and millwork. Opposite top A contemporary version of a shallow groin vault was used for the ceilings, giving a grand, spacious feeling to the security screening level. Opposite bottom A two-storey space in the lower concourse faces the welcome desk, and forms a meeting point for tour groups. The fastest to dry hands hygienically with HEPA filtered air. Compact design for small spaces Just 4â&#x20AC;? deep, no recessing required Easy to service. Safe electrical disconnect. Certified by Quiet Mark. Fast, hygienic hand dryer. 12 second dry time.1 Tough and durable. Dry time determined using Dyson test method 769 based on NSF P335 to a measurement of 0.1g residual moisture. Average loudness (measured in sones) reduction compared to Dyson Airblade Tap hand dryers and depending upon variant: Short 39%; Tall 35%; Wall 36%. An ideas competition imagines new possibilities for a derelict site on Winnipeg’s Red River. Winnipeg is nicknamed “River City,” but despite its centre being located at the conflux of two waterways, the reality is that the city’s waterfronts have long been neglected. Most modern metropolitan areas around the world orient themselves towards their waterways, and water-facing sites are generally sought-after real estate. There are numerous case studies of reactivated waterfronts that have yielded cultural and economic gains through public access. Winnipeg’s waterfront sites, in contrast, are often used as surface parking lots and industrial infrastructure. Our conviction that Winnipeg needs to rethink its relation to its rivers led the two of us to organize a community-based ideas competition in 2018. The intent of On the Docks was to involve citizens in exploring the urban potential of the abandoned Alexander Docks, a riverside site that is starting to be surrounded by developments. to Ferris wheels, Mars launch pads and amusement parks. Most, however, expressed the need for truly public space—areas that are programmatically flexible with full access to the Red River. The competition made us wonder: how can we redefine public space to create a core support system for many uses? How can we push public spaces to perform better, responding with a built-in flexibility that accommodates activity and conversation? It’s clear that entrants were thinking beyond typical uses, pointing to the need for a broader approach to urban public developments. The Alexander Docks is the site of the tragic discovery of the body of 15-year-old Tina Fontaine, which spurred the National Inquiry into Missing and Murdered Indigenous Women and Girls. Design responses reimagined the idea of memorials by proposing spaces for conversations, community centres, and various places for gathering and sharing—public spaces that celebrate all cultures and promote healing through reconciliation. The Alexander Docks has gained significant national exposure as a symbolic place for an important conversation happening in Canada today. The competition’s first-place winner was Alexander’s Garden by Sabin Cornoiu of Romania. The project aims to create an egalitarian outdoor living room for the whole community in the middle of the forest, and a gateway for all-seasons access to cultural activities. Below Play of the Land, by Billy Chung of Toronto-based Something Specific, contrasts the Prairie horizon with an artificial landscape along the Red River’s edge. This continuous greenery extends the city fabric to the river with a year-round, activity-filled terrain. We organized an awards evening that brought together city officials, designers and members of the community to discuss the future of the Alexander Docks. The conversation continued on social media and through a month-long exhibit displayed in various public places throughout Winnipeg. An event co-organized by On the Docks and Storefront Manitoba included presentations by students, teachers, designers, and university faculty, along with a panel of Winnipeg decision-makers. Throughout the process, the City of Winnipeg has supported the competition. The enthusiastic response to the competition inspired us to create a publication that summarizes the possibilities for moving forward. On the Docks has demonstrated that Winnipeg’s citizens see value in creating public spaces that engage the river. The site presents a complex layering of emotional, cultural and environmental issues. This complexity can yield dynamic and exciting design solutions, and On the Docks has helped create momentum within the community for a thoughtful approach to the site. The present renewal of the Exchange District and Waterfront Drive, along with the community’s efforts towards reconciliation, make this is the right time to move forward with a progressive new idea for the Alexander Docks site. Laurène Bachand and Aaron Pollock both work at Number TEN Architectural Group, and see opportunities in revitalizing spaces within cities by engaging with the community to uncover their latent potentials. I am a settler-scholar, architect and planner living in tkaronto. Over the last five years, through work on housing systems, I have had the privilege to partner with First Nations across the Treaty 9 territory and to often be generously welcomed onto their lands. As a settler on Turtle Island, I do not have one of the voices being shared in the book Our Voices: Indigeneity and Architecture by Rebecca Kiddle, luugigyoo patrick stewart and Kevin O’Brien. This book is about voice—Indigenous voice—and is an important contribution to the small but growing global body of literature on the relationship between Indigeneity and architecture. A self-declared “unashamedly Indigenous-centric book,” Our Voices offers a model for Indigenous scholarship by carefully curating texts by a range of practictioners, academics and advocates with diverse perspectives on design. Our role as allies is to find a central place for Indigenous partners and their stories, and most importantly, to listen to those stories. The book’s creation itself exemplifies a decolonized process that included reimagining the review process, offering various presentation A design for the Red Crow Community College Learner Resource Centre in Blood Tribe, Alberta, by Wanda Dalla Costa, the first First Nations woman in Canada to become a registered architect. MIDDLE AND BOTTOM Two views of the 2017 Niitsitapi Learning Centre in Calgary, Alberta, by Leblond Partnership (now Beck Vale Architects Planners) with Wanda Dalla Costa’s firm, Redquill Architecture. formats, and itself being of a place. (It’s described as being hosted in Aotearoa New Zealand, with a Māori elder offering a foreword and Māori designer Rau Hoskins closing the book.) A chapter that discusses these choices hints at the type of decisions one must make in the parallel—and vastly more complex—process of building architecture. Conceptualizations (and in many cases, breakthroughs) for decolonized architectural processes are shared throughout. At its core, “Indigenous architecture is about ‘a’ people in ‘a’ place,” the book explains. The book shares examples from a variety of people and places, demonstrating the diversity of sites that have always been Indigenous places—and that continue to be Indigenous places. The book also shines a light on the injustices of colonialism, from the scale of communities to the individual home. Stories from coöption to forcible destruction are carefully delivered, not from a place of victimhood, but instead as a context from which, “this generation […] has begun to speak back to the machine of colonialism [sic] and it is an international phenomenon [sic] architects / artists and designers have begun a process of speaking up/out/back.” Speaking up happens through a variety of media: Kiddle describes young Māori mapping their urban experiences and brainstorming utopian visions for a site, while Timmah Ball describes Indigenous art that, despites attempts at commodification, “pierces the colonial landscape creating tranquil moments.” Other voices present alternative understandings of how places are made and kept, and how these processes can be made concrete in the future. While standard best practices—including in residential design, preservation and emergency planning—may seem immediately actionable, there is a risk of recolonizing these processes by understanding their significance through a non-Indigenous worldview. Researcher Michael Mossman describes recognizing the transactional and translational aspects of architecture through enacting a Third Space—“a place where differences touch, interact, disrupt, unsettle and de-centre preexisting narratives to produce a structure for marginalized cultures to symbolize themselves to their counterparts.” In understanding messages shared with us as settler practitioners, both in this book and in practice with Indigenous peoples, we are entrusted to learn from a place of critical investigation. We must take care not to repeat colonial relations of power by immediately placing these ideas within our own established frameworks. This collection presents a set of voices that have been marginalized from the mainstream discussion of architecture and architectural theory for too long. Theory-building and practice with respect to Indigenous placemaking, architecture and design must be led by Indigenous academics and practitioners. To experience one’s own awkwardness in reading this book is to know the importance of not just listening and learning from this one book, but in searching out more of these Voices. The book calls on all architects to question their Western preconceptions: “We learn to think on our feet and to be able to verbalize our thought process and make connections on the fly. I catch myself doing this all the time. I have to remember to listen. To learn from the stories.” As settler architects and allied practitioners, we must learn to listen to a growing number of diverse voices. Our Voices demonstrates that Indigenous life (and Indigenous architecture) is present not only on reserves or in specific communities, but across cities around the globe. This book provides a platform for a number of voices to be heard—to some readers for perhaps the first time—and with them, offers some tools with which architects may begin to understand their own work in relation to Indigeneity. This book is an excellent resource for any professional to use as a guide to find the relevant Indigenous voices in their work, to begin to listen to them, and to join in a continued journey of learning. Dr. Shelagh McCartney, OAA , MRAIC is an assistant professor in the School of Urban and Regional Planning at Ryerson University. The Architecture + Design Film Festival lineup includes a screening of Grandma and Le Corbusier, directed by Marjolaine Normier. EVDS Design Matters: Sir David Adjaye One of the most influential architects of this generation shares insights about his work and architecture as a social force. 2019 AAA AGM + PD Symposium This full-day event features professional development sessions presenting current theories and practices to AAA membership, helping them shape Alberta’s built environment. 3R Tiles designs and manufactures innovative aluminum and steel tiles for siding and roofing. Our products are assembled through a unique interlocking system which creates a distinctive 3D texture. Tiles can be installed and combined in a variation of ways providing greater creative freedom for architects and designers. info@engineeredassemblies.com Dyson Airblade hand dryers use HEPA filtered air up to 675 km/h (420 mph) to scrape water from hands, drying them quickly and hygienically. Compared to other hand dryers, they cost up to 78% less to run; and compared to paper towels, running costs are up to 98% less. Helios — the VAV that needs no wiring or new ductwork. Powered by ambient light, Helios means big savings in installation and operation. Ideally suited for LEED certified buildings, it’s simply perfect for your next new project or retrofit. Helios, another bold innovation from Titus. Visit www.titus-hvac.com/helios or see your local Titus representative. Opened in 2017, the National Holocaust Memorial in Ottawa is designed by Daniel Libeskind and includes photo-real images by Edward Burtynsky. He concluded his attack on monument-building by writing: “But let us not again clutter up our villages and towns and cities with the sort of mediocre and even tawdry ‘monumental’ monstrosities that have been left in the wake of all our earlier wars.” Both then and now, it is not the talented sculptors and architects of these contemporary works who are to blame; they are practicing their craft. Instead, it is a matter of urban policies and their makers, who wilfully decide priorities, and assign hierarchies to the spaces of our public realm. In 1989, I visited all six of the sites of the Nazi extermination camps. Their expressions of memory span an architectural spectrum— from the chilling preservation of the camp and extermination buildings of Auschwitz-Birkenau to the contemplative stone-studded fields of Treblinka. None of these, as least in any obvious way, bore a prominent architect’s name. Indexed directly to their respective sites of trauma, each memorial’s “authorship” is history itself, edited perhaps, but not overtaken by symbol. How might this have been possible on the unceded land of LeBreton Flats? Might it be still? Jill Stoner is Director of the Azreili School of Architecture and Urbanism at Carleton University. Â© 2019 Kawneer Company, Inc.
Building on the past to advance the future. Kawneer solutions draw on a long history of innovation to create next-generation technologies that inspire architects, contractors and glaziers to create buildings with better performance, protection and productivity. At Kawneer we are always building. Build your legacy. Our team has been trusted for over 40 years to provide technical expertise and project support in the exploration of segmental paving product options. Optimizing color, finish, texture and size, we have what it takes to bring your vision to life. ECO-PROMENADE ® Offers a long linear look to any contemporary permeable application, while being capable of vehicular loads. Contact your Unilock Representative for more information about custom products.